Don't miss the action at Barclays Center and NYCB LIVE, home of the Nassau Veterans Memorial Coliseum during the 2018-19 season. 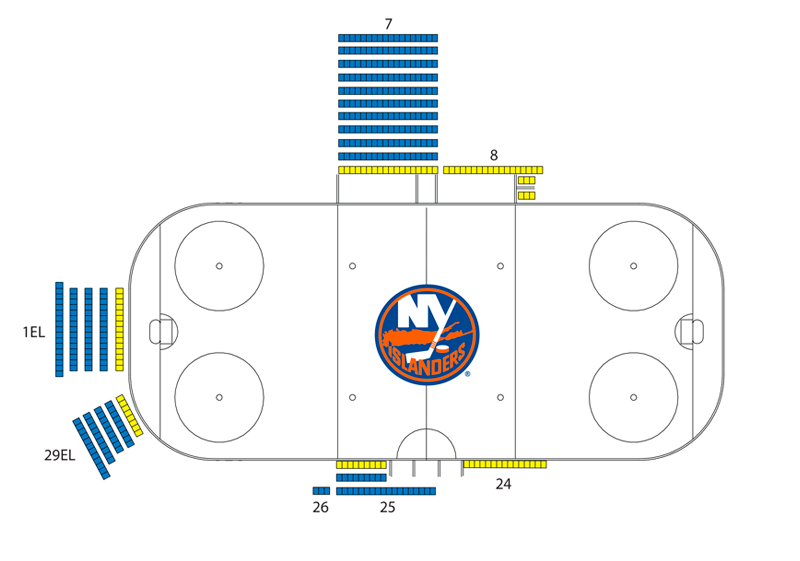 With New York Islanders half season tickets, you'll get priority, plus premier advantages and amenities. Half season memberships reward your commitment to the Islanders with priority for select home games. You'll also enjoy access to exclusive benefits, such as the meet the team event. The sections listed above refer to locations at Barclays Center. The colors shown above refer to both Barclays Center and NYCB LIVE. 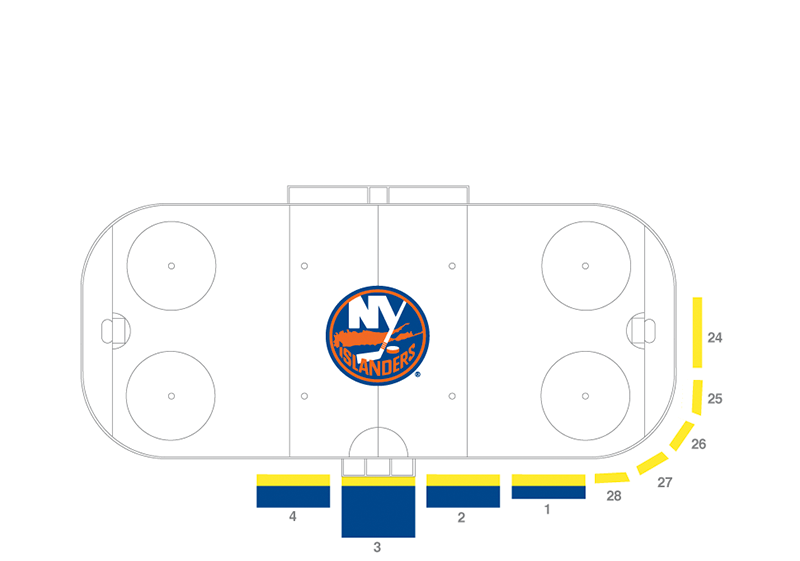 Experience what it's like to be on top of the action with Islanders Rinkside seats. Receive premier benefits, such as access to the VIP Entrances, and invitations to exclusive events. * Rinkside ticket members only. **The Calvin Klein VIP Entrance is located at Barclays Center and the Grant Thornton VIP Entrance is located at NYCB LIVE. ***The Rinkside Club is located at Barclays Center. ^Applicable to select games only (specific games to be determined by Brooklyn Events Center, LLC). ^^Applicable to Barclays Center only.